After three episodes, Showtime has renewed Ray Donovan for a second season. The series garnered the cable channel’s best ratings for an original series premiere in history and the numbers have been holding up. The first season finale will air on September 22nd. Season two will premiere sometime in 2014. LOS ANGELES, CA – (July 16, 2013) – Having made network history as its highest rated original series premiere ever and with continued ratings success in weeks two and three, SHOWTIME has picked up a second season of its critically acclaimed drama series RAY DONOVAN. 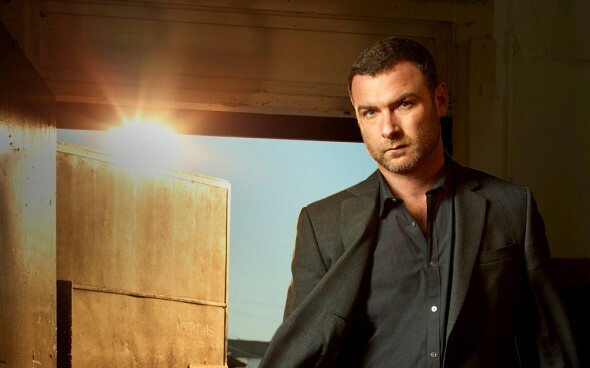 Created and executive produced by Ann Biderman, the series stars Emmy(R) and Golden Globe(R) Award nominee Liev Schreiber in his first lead television role. The announcement was made today by David Nevins, President of Entertainment, Showtime Networks Inc. RAY DONOVAN airs on Sunday nights at 10 p.m. ET/PT on SHOWTIME. The second season will debut in 2014. Set in the sprawling mecca of the rich and famous, RAY DONOVAN stars Schreiber as LA’s best professional fixer, the man called in to make the city’s celebrities, superstar athletes, and business moguls’ most complicated and combustible situations go away. This powerful drama unfolds when his father, Mickey Donovan, played by Oscar(R) winner Jon Voight, is unexpectedly released from prison, setting off a chain of events that shakes the Donovan family to its core. The cast includes Oscar winner and guest star Elliott Gould as Ray’s long-time client and mentor, Paula Malcomson (The Hunger Games) in the role of Ray’s wife, Abby, along with Eddie Marsan (Sherlock Holmes) and Dash Mihok (I Am Legend), who play Ray’s brothers. The series also stars Steven Bauer (Breaking Bad), Katherine Moennig (The L Word), Pooch Hall (The Game), Kerris Dorsey (Moneyball) and Devon Bagby. Johnathon Schaech (That Thing You Do!) and Peter Jacobson (House) guest star. RAY DONOVAN is created and executive produced by Ann Biderman (Southland), who also wrote the pilot episode. The series is also executive produced by Mark Gordon and Bryan Zuriff. RAY DONOVAN is a SHOWTIME production. What do you think? Have you been watching Ray Donovan on Showtime? the only critique I have is that if Ray wanted his father dead so bad, he should have notified Dexter while he had the opportunity; sadly, it is too late now because our fave serial killer has gone on to smaller and more nondiscript things … like trying to find a real woman to settle down with. Looks like MCHall is searching in all thewrong places too. I’m so glad my sister get together to watch Ray Donava..it’s an awsome series. Ray Donovan is THE BEST on television. Fantastic cast..not to impressed with the daughter though. Great writing . I am always anxious for the next episode. Don’t cancel this one! Not a bad show, these early renewals though are getting annoying.